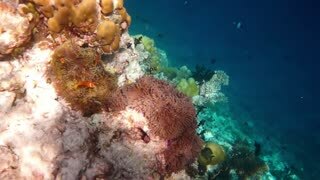 Beautiful underwater colorful fishes and corals. Tropical fish. 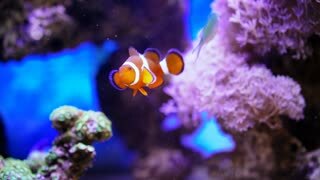 Anemonefish. 4K. 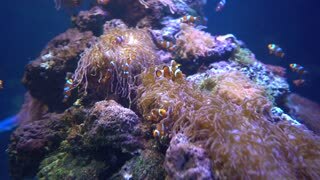 A school of clownfish, or anemonefish, swimming in a saltwater aquarium. 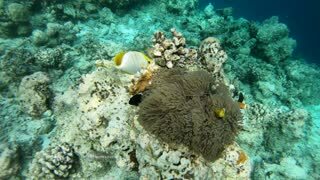 4K HD Video of many clownfish, or anemonefish, and blue tang swimming around a coral reef. 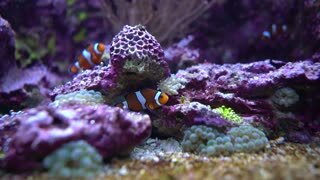 Thirty species of clownfish are recognized. Paracanthurus hepatus is a species of Indo Pacific surgeonfish. 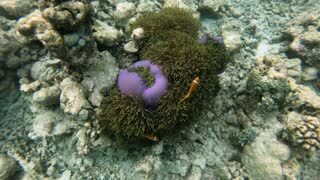 Clownfish or anemonefish living in their magnificent sea anemone on a colorful coral reef, Red sea, Egypt. 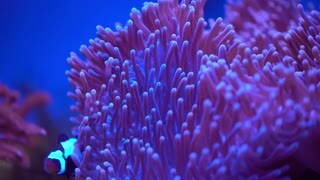 Full HD underwater footage.